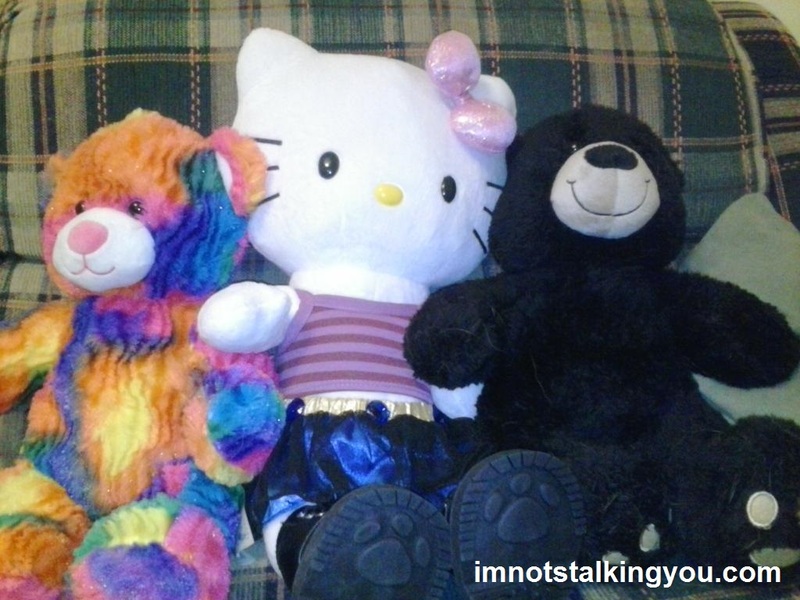 What I Learned This Week – 2/9/14 | I'm not stalking you. So I was thinking about it and I think your husband is actually just hiding a massive wild streak behind that plain back-bear veneer. He claimed that he picked that simple black bear because it reminded him of his childhood teddy bear. I was thinking that your husband is the only one who’s normal. Just kidding! To have married you, he’s probably not. Oooh! The hits keep coming! Actually, I think it’s very cool that you had a family outing to Build a Bear. You make me feel like a total slacker mom. As if not having a giant pharmacy giraffe weren’t enough! Well, you should know that the ACTUAL family outing was to watch the original The Muppet Movie in a classic theater. We just happened to wander to the mall afterwards. And we looked at real, live PUPPIES in the mall too. It was quite the day!